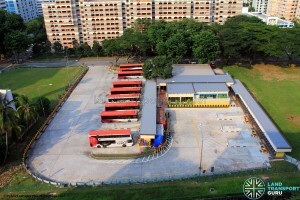 Saint Michael’s Bus Terminal is a neighbourhood bus terminus within Whampoa Estate. 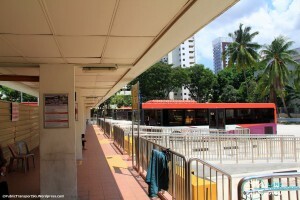 Located off Whampoa Road, the terminal serves residents of the surrounding Whampoa estate, and businesses operating in the Kim Keat area. 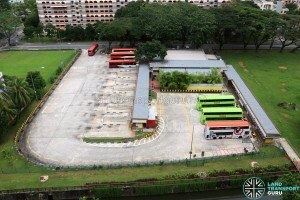 The terminal represents one of a dwindling number of small, neighbourhood bus terminals constructed in the 1980s which served residential estates, before bus interchanges and terminals were centralized around town centres and MRT stations to complement the rail network. Today, only Service 124 and 125 remain service St. Michael’s, and have been amended to different destinations. The remaining were withdrawn and the route numbers re-used for later routes. 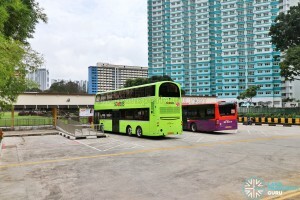 In the 1970s, two City Shuttle Service routes were introduced, route 3 and route 7, later renamed to CSS 603 and 607. Both were withdrawn in 2003. 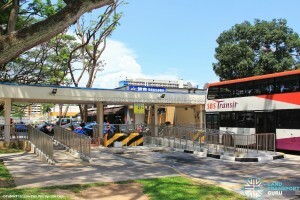 SBS Transit took over the bus terminal in 2003. 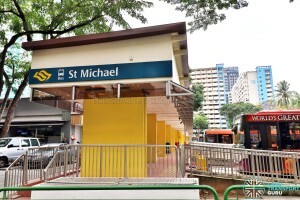 Saint Michael’s Terminal (often abbreviated as St. Michael’s Ter) is a small bus terminal located within the Whampoa estate, and despite its name, is not located near St. Michael’s Road. 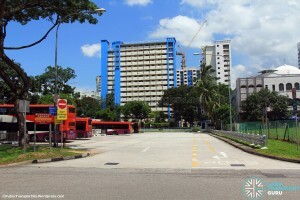 It is bordered by Whampoa Road on the north edge and Sungei Whampoa canal on the south edge. 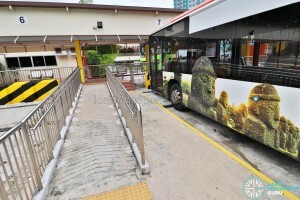 The terminal has a single vehicular entrance and exit along Whampoa Road, and all berths are right-angled (or end-on) berths, which are used for both the parking of buses and the boarding/alighting of passengers. 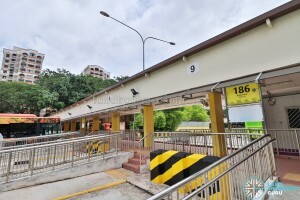 There are two pedestrian entrances: one leading to Whampoa Road along the north edge, and the other leading to Whampoa Park connector and several HDB flats on the south edge. 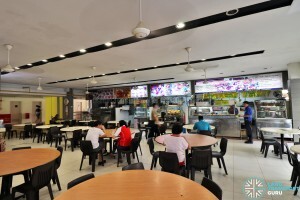 A food centre (Block 111A) is located beside the terminal building. 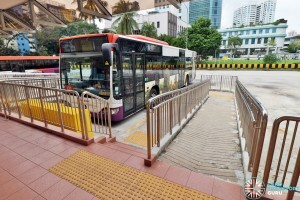 In Year 2011, the terminal was renovated with wheelchair ramps for every bus bay, for the convenience of wheelchair-bound passengers. 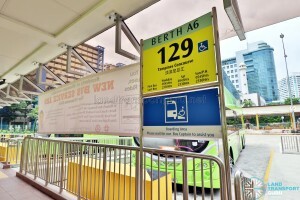 Previously, the only wheelchair-accessible berth at the terminal was at the north end of the terminal and used by Bus Service 21 since 2006, and was the first wheelchair-accessible bus service in Singapore. In Year 2013-2014, Addition & Alteration Works were carried out to install a new annexe at the terminal, with public restrooms, a driver’s lounge and ancillary rooms. 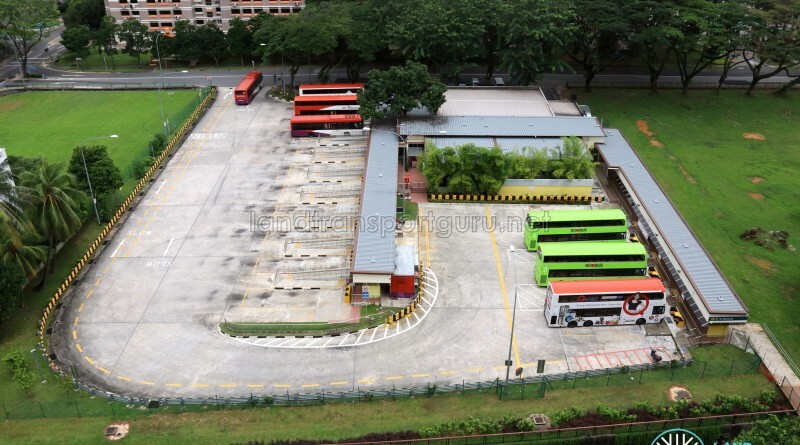 This would be built on space formerly occupied by excess bus parking lots. 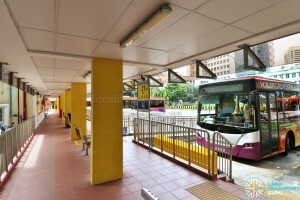 New seats for waiting commuters, rain shades and wall-mounted oscillating fans were also installed, and the concourse was given a fresh coat of paint. 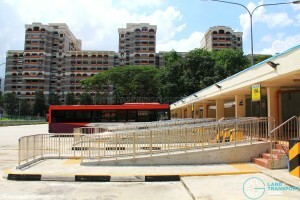 LTA Contract VT353, which was awarded to TQC Builders Pte. 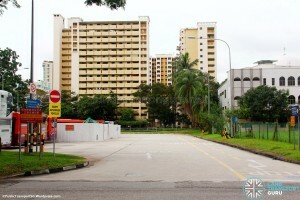 Ltd. for S$1.69 million in Apr 2013, was completed in Q2 2014. 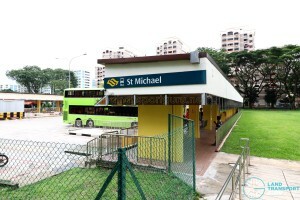 In Year 2016, Bus Service 129 was introduced to St. Michael’s, using long-unoccupied berths at the terminal’s eastern corner. 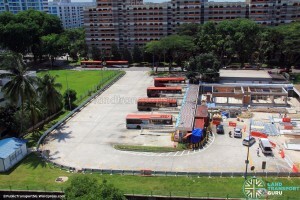 Overhead view of St. Michael’s Terminal in November 2014. 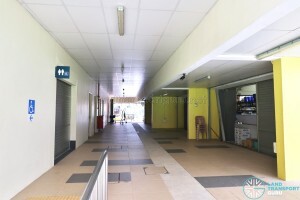 The new annexe building has been completed. 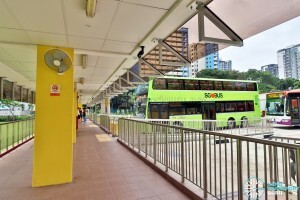 If 21 were to be shortened from Pasir Ris to Lor 1,A new service using number 126 can start from St Michael to Sims Place.